The Puritans often preached from the book of Jeremiah, hence came their nickname the “Jeramiahans.” Therefore I have been preaching from the book of Jeremiah. This morning I preached from chapter 15:1-4. I warned them that the Lord is not pleased with how our nation, and her highest court legislate in support of sexual immorality and murder (aka abortion). One man behind me began heckling the message. 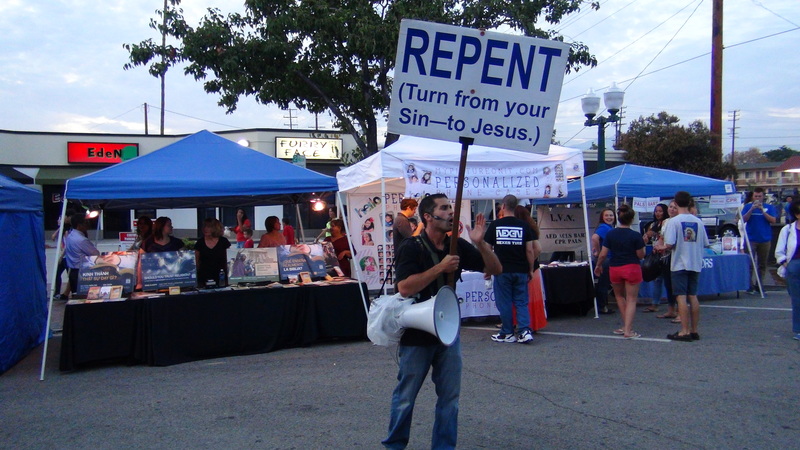 Then Satan used a woman to oppose the preaching (most likely from a spirit of Jezebel). She also attempted to discredit me, by telling the crowd that I had touched her, apparently inappropriately. 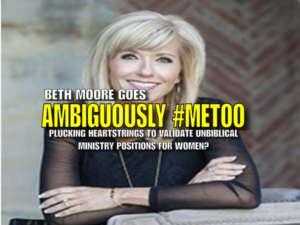 I have to wonder if this woman is sitting under the false teachings of #MeToo Beth Moore. The feminist movement is not new. Its roots are part of ‘the curse’ which originated in the Garden of Eden (Gen 3:16). And what about those sayings “Get out of my sight,” or “I don’t even want to look at you right now?” Where did they originate from? Find out here. I usually ignore hecklers, but perhaps I fell on my sword here. But in spite of this opposition, the Lord still used this to encourage a few Christians, and some Christians encouraged me as well. Either way, God promises that His Word will not return void. All private conversations were removed.